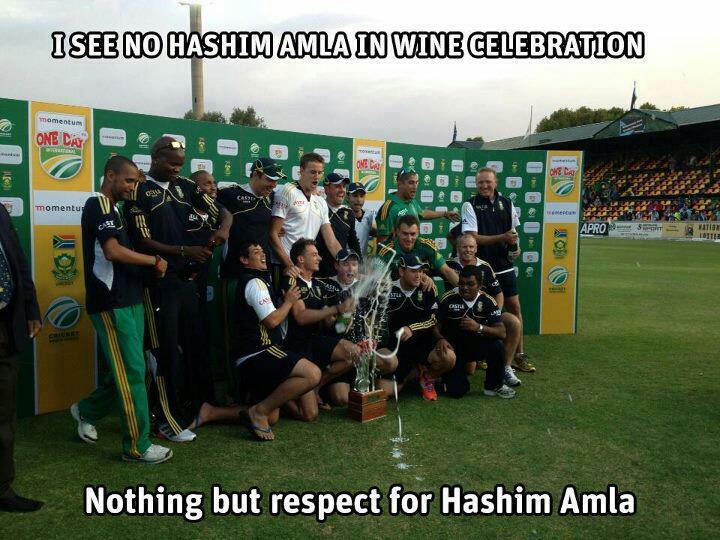 Hashim Amla Stays Away From Wine Celebration of South African team after winning ODI series against Pakistan. 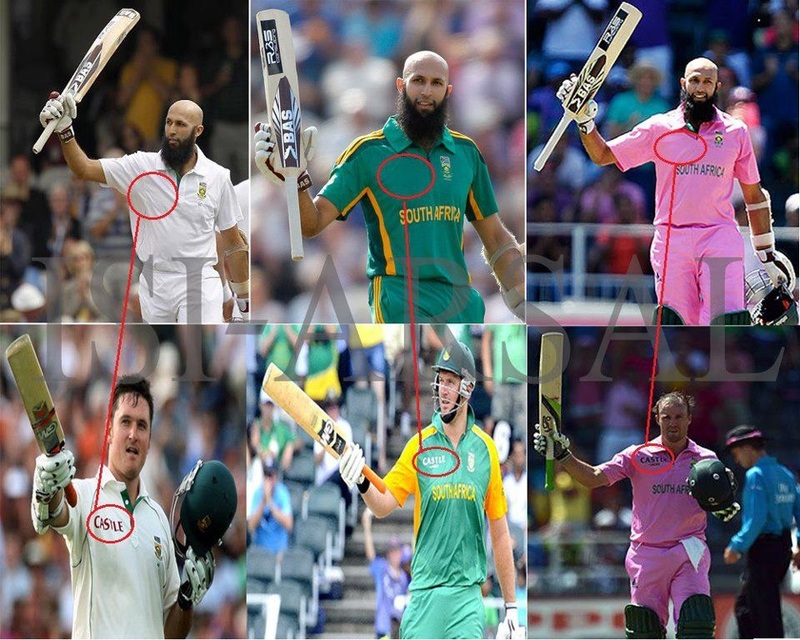 Hashim done it because Wine is Haram in Islam. He also not wears Shirt with logo of Alcoholic company unlike his other team mates. For this he pays $500 fine very month.